Filipino boxer Jether Oliva will face the undefeated Pakistani boxer Muhammad Waseem on July 17, 2016 at Millennium Hilton Hotel, Seoul, Korea. Oliva with the record of 24W(11KO)5L is coming off unanimous decision victory against the Filipino boxer Jong Sabellina last month. It was a comeback for his after being defeated by Pedro Guevarra and Zolani Tete via Unanimous Decision. Oliva is a tested 30 years old boxer and a former IBF world title challenger but defeated by Ulises Solis of Mexico in 2013. 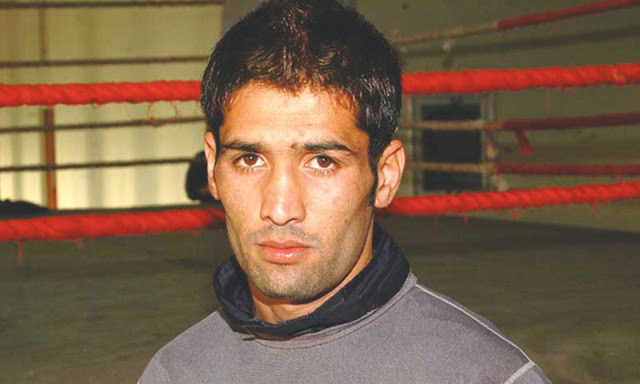 On the other hand, Muhammad Waseem is a 29 years old boxer from Quetta, Pakistan. He has a record of 3 wins by KO and no defeats. Despite of his few professional records, Wasseem is a very tough boxer because he had a lot of Amateur fights and won some regional titles. He won bronze in Asian Games 2014, Gold Medal in 2010 Beijing world combat games and another Gold in Shaheed Benazir Bhutto International Boxing Tournament in 2011. Wasseem hasn't fought a fighter like Oliva before and it will be make or break for his career.